Whether one is athletic or non-athletic, wrist pain is a common ache. Before we take a look at the appropriate relief measures that can be taken to tackle wrist pain, let us first look at some of the common causes of wrist pain. When the tendons that surround the wrist joint are inflame or irritated, this could lead to swelling and a stabbing pain, especially when the part affected is moved at a certain angle. This is one of the common causes of wrist pain. In case the wrist or hand is incapacitated, immediate medical attention is needed. For wrist pain relief, simply rest the hand on a hard surface, like a piece of illustration board. Maintain this position, even while going to an orthopedic expert for medical help. Sprain is usually characterized by a stabbing or shooting sharp pain in the affected area that occurs even if you move the wrist slightly. Some of the causes of wrist pain due to sprain include too much exertion of the wrist or a strong and harmful impact against the same. This can be brought about by an abrupt wrist joint shock during impact, as when sudden pressure is felt while shooting a basketball or hitting a speeding ball with a tennis racket. This sprain can also be the result of a fall when the concentrated body weight impacts the wrist. For wrist pain relief due to sprain, refrain from moving it for a while. Let it rest for a day. If the pain persists, consult an orthopedic expert. Some causes of wrist pain may be due to internal pressure, like a carpal tunnel problem. In this case, some nerves suffer pressure as they pass through the wrist joint area. For a quick wrist pain relief, consult a physical therapist to massage the area. Do not attempt a do-it-yourself massage as wrong procedures may cause swelling with chronic tingling pains. 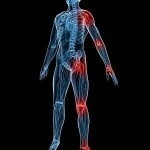 Correct massage involves easing the nerves of the pressure points that inflict pain. When causes of wrist pain are due to other ailments, like arthritis, the pain occurs as a symptom. 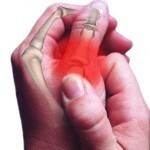 To get wrist pain relief, the arthritis ought to be treated properly. Prescribed anti-pain drugs can be requested from a physician, especially to relieve one of the severe, stabbing pain that the problem creates. For a broken wrist, provide a makeshift cast to straighten the affected part while the patient is being brought to a proper treatment center. Rest the injured hand on a straight wood or cardboard, tie cast and hand gently with a strip of cloth to secure their position, and then, support with a cloth sling or cord. Make sure the affected area stays secure throughout the travel duration. The above mentioned include some of the common causes of wrist pain. As mentioned earlier, even if the cause of your pain is only a temporary sprain, if the pain persists it is best to immediately consult a medical practitioner for help.